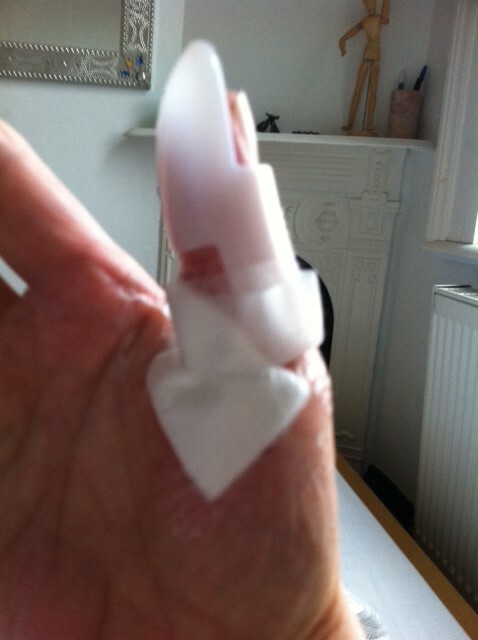 Can’t do a long post this week as I’ve sliced open the base of my thumb on a glass which spontaneously exploded as I was emptying the dishwasher early on Wednesday morning. I had no idea how vital thumbs were until now. Although I’m right-handed, it’s been easier to use my thumb-equipped left hand for most tasks than jab ineffectively through the air with my four, lonely right fingers. My left hand has discovered its unexploited potential and has gone a little wild. I swear it already looks twice the size it used to be since its life-long role as the understudy came to a sudden end on Wednesday morning. I haven’t the heart to whisper to it “This is only temporary”. My work facilitating shared reading groups has suffered, though, since I haven’t been able to drive, can barely type and can’t lift and carry anything too heavy, even a book. I have managed to catch up on emails and all the niggly admin jobs that lurk around the edges of my life. And I’ve managed to read through all the recent (and not so recent) submissions to And Other Poems which has cheered me up. Something else which has lifted my spirits has been the loving, supportive, funny comments on Twitter and Facebook. “No more XBox for a while, then?” one friend quipped (haha, as if! Even if I was four-handed and eight-thumbed I wouldn’t be dextrous enough to play Halo). It’s been heartening to receive little messages from people I don’t really know and a reminder that Twitter and Facebook are sometimes very friendly places to be. Gosh, this post is turning out to be longer than I thought it would be. Just goes to show how adaptable we humans are, even when we’re down to our last thumb. Anyway, Chris Murray a Twitter, Facebook and WordPress friend (we’ve never met) sent me this fantastic poem by Sylvia Plath which I’ve listened to again and again. Even though I’ve been carrying around Sylvia Plath’s poems for years there are still poems, such as this one, that I don’t discover until someone else draws my attention to it. I love Plath’s clipped, almost aggressive delivery and the short lines are like small, quick cuts from the chopping knife that’s sliced off the top of the poet’s thumb. As Chris mentioned, this is the top of the thumb, not the base, but it was still a wonderful poem to send to me. Hope you enjoy it too. Next week I’m steering clear of knives. And the dishwasher. Oh poor you. We never realise how much an injury to one part of the body will impact on us until it happens. I had a shoulder injury a few years back (still don’t know what caused it) but putting a coat on was agony, as was moving my shoulder in general. I began using my left arm for most things. It’s amazing how we adapt! Love the Sylvia Plath poem. I’ve read it before. I’m a bit of a fan! Really enjoy your posts.